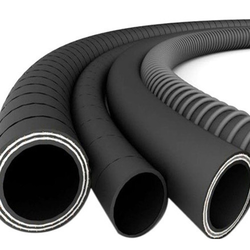 Our range of products include Industrial Rubber Hoses such as Industrial Rubber Hose, Rubber Hose, General Purpose Water Rubber Hose, Bulk Hose, Radiator Hose, Mud Slurry Hose and many more items. 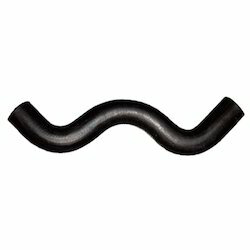 Owing to our rich industry experience, we are manufacturing, supplying, wholesaling, trading, retailing and exporting Rail Tanker Rubber Hose. The offered range is manufactured using high-quality rubber that is sourced from most reliable vendors of the market. In addition to this, our hoses are checked by our experienced quality controllers to ensure its defect-free nature. Radiator Hose offeredcomprise quality finished rubber hoses that come with high tensile strength so as to provide for longer service life. Further, these hoses are designed to resist degradation due to the presence of cooling fluids as well as have high ozone resistance. Some of its features include coming designed and developed as per standards like SAE J20, DIN 73411 and others; suitable for handling coolant or water mediums; outer rubber layer comprising EPDM/VMQ finish among others. With the help of our experienced professionals, we are manufacturing, wholesaling, retailing and exporting Industrial Rubber Hose. All these products are manufactured using optimum grade rubber following set industry norms and guidelines. Our products are known for their longer service life, high compressive strength and resistance to abrasion. 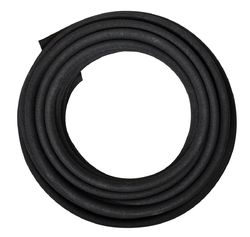 We have established ourselves as a renowned manufacturer, supplier, wholesaler, trader, retailer and exporter of General Purpose Water Rubber Hose. While manufacturing, our experts make sure that quality-approved rubber is used in the manufacturing process. Furthermore, we customize these products as per the specifications detailed by customers. Mud Slurry Hose offeredcomes in superior construction finish and find use in sucking/discharging of mud, water, oil and other material. These find extensive use in industry sectors like agriculture, mining and others as well as come in smooth NR/synthetic rubber construction finish in black and other colour options to choose from. Some of its features include superior reinforcement support comprising single/multilayer spiral fabric reinforcement; a durable cover support comprising abrasion and weather-resistant synthetic rubber; inner rubber liner comprising wear-proof natural/synthetic rubber options among others. Wire Reinforced Hose offeredcomprises high tensile steel wire reinforcement based hydraulic hoses that find usage suitability in high-pressure hydraulic applications and are suitable for use in areas requiring more flexible hose approach. Further, these hoses can be provided with single/twin steel wire braid reinforcement layer. Some of its features include available in color choices of black, grey, blue, yellow and others; featuring oil and weather resistant synthetic rubber cover; suitable for use in vacuum working conditions; supporting sucking/discharging gas or hydraulic fluids among others. 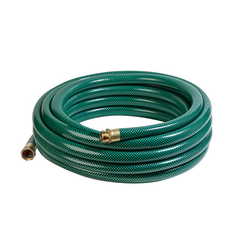 Our firm delivers precisely tested and a high-grade assortment of Water Hose. It is manufactured using top quality materials and latest technology and tested under various quality parameters. Our company specializes in manufacturing, supplying, wholesaling, trading, retailing and exporting qualitative Bulk Hose. These products are manufactured keeping in mind the variegated requirements of customers using a high-quality rubber. Furthermore, we make sure that the consignments are timely delivered at customers' destination.